Eaton Rapids Joe: How many people protesting guns??? How many people protesting guns??? Image courtesy of Daily Mail UK Circled areas show "slinky" effect common to moving crowds. Distance courtesy Google. About 3400 feet. Width of street is about 111 feet. 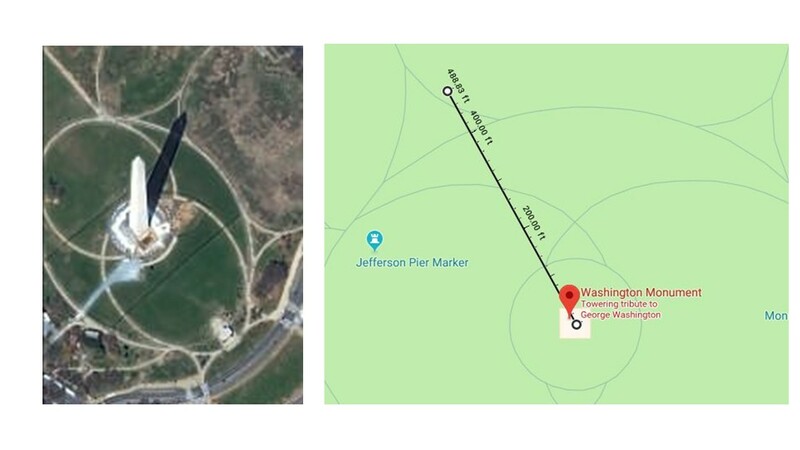 I analyzed the shadow of the Washington Monument that was in the un-cropped picture and deduced that the image was taken at approximately 10:45 in the morning. The shadow is approximately 490 feet long at the time the image was taken. 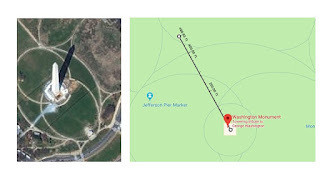 Since the event did not officially start until noon, and ended after 2:00 PM, the number of attendees was certainly higher than the 34,000-to-40,000 estimated in the blog. One highly credible source placed the attendance around 180,000. In my defense, I am not the person who posted a picture of 34,000 people and presented it as evidence that 800,000 people were in attendance. Apologies for any sleep you may have lost. It'd be nice if we could zoom in and count number of people within a known area. But even if 5 square feet per person (which would be a dense crowd) is used, the resulting number is still far below what the organizers and media were telling us. A professional estimate put the crowd size at approx. 200,000. When the Chevy Vega (remember them?) was introduced to the press a young test engineer named Roger M. was asked how many Gs did the Vega pull on the skid pad. Roger said, "Let me get back to you." He consulted his Engineering Handbook and quickly learned that the static coefficient for rubber on dry concrete is 0.80, a number he relayed back to the reporter. The press EXPLODED in admiration. The sporty looking Vega had better skid pad performance, as reported by an unnamed expert, than the Chevy Corvette. Usually, I trust the experts. But in this case I have a very hard time reconciling THAT image with the professional's estimate of the crowd. Perhaps Daily Mail used a stock image. Perhaps the crowd grew through the day. Maybe the kids were standing on each others shoulders. Perhaps my estimate was a wee bit stingy on the usable width of the street. Perhaps "professional" is not orthogonal to "political". Hard drive crashed last night. How do YOU feel about Friday?